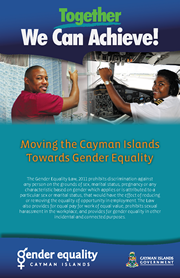 The Gender Equality Law, 2011 established an independent Tribunal to hear and determine discrimination complaints. If a person has reasonable grounds to believe that they have been discriminated against as outlined in this Law, a complaint can be made to the Tribunal within 6 months from the date on which the alleged acts occurred. A complaint can also be made by another person other than the alleged victim of discrimination but the Tribunal cannot deal with the complaint unless the alleged victim consents. 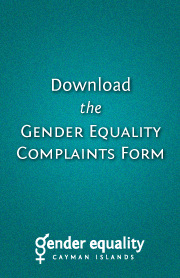 To file a complaint with the Gender Equality Tribunal, please download the Complaint Form and follow the instructions on the form. Once the form is completed it can be emailed to get@gov.ky. 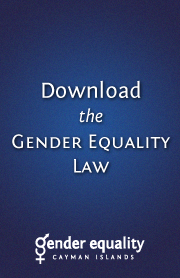 The Gender Equality Tribunal's Policies and Procedures contain more information about the role and functions of the Tribunal and how complaints will be handled.